David Chow’s sunny-side up Easter eggs, Pusateri’s Fine Foods, Toronto. Photo courtesy of Pusateri’s Fine Foods. 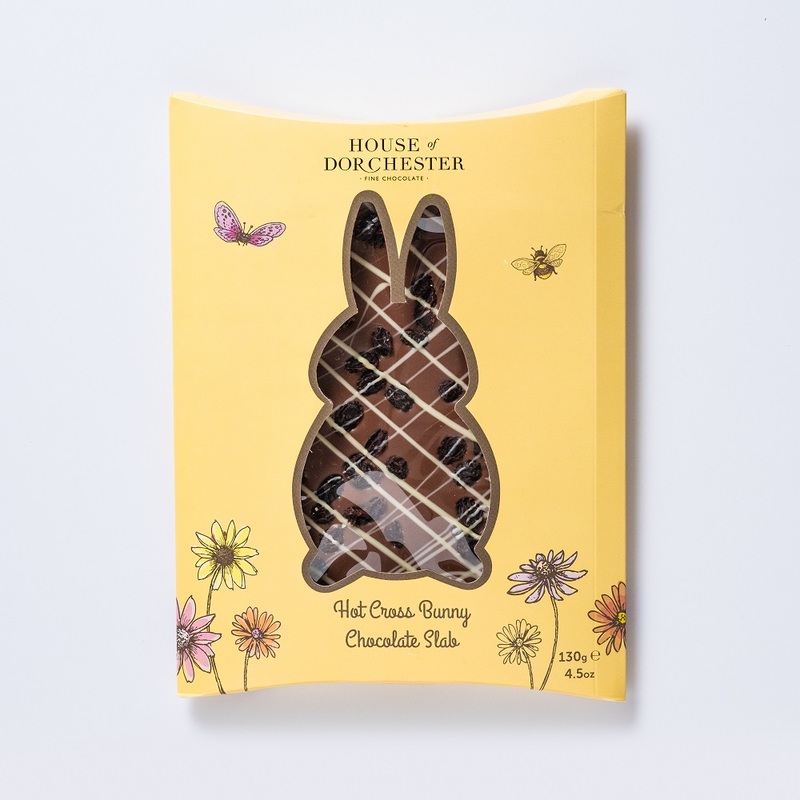 House of Dorchester bunny made from hot-cross-bun-flavoured milk chocolate, Pusateri’s Fine Foods, Toronto. Dark chocolate and praline Crocus Buds, Beta5 Chocolates, Vancouver. Photo courtesy of Beta5 Chocolates. 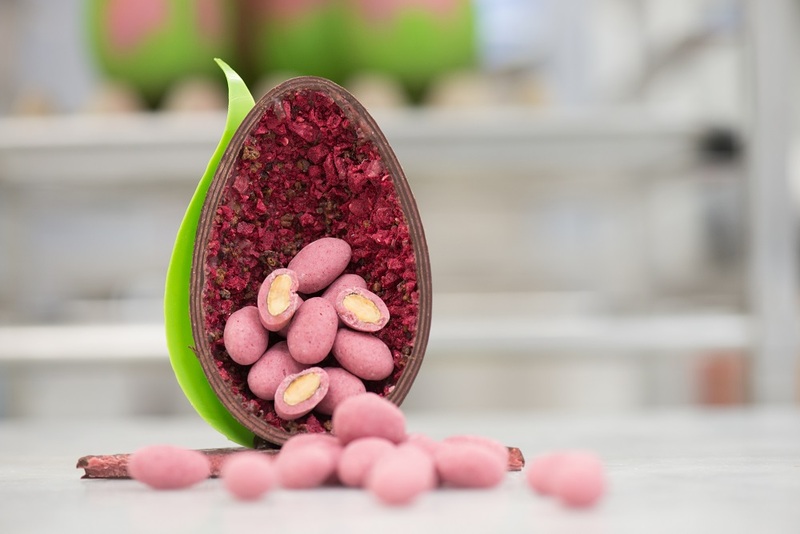 Raspberry and cacao nib Crocus Bud with raspberry coated almonds, Beta5 Chocolates, Vancouver. 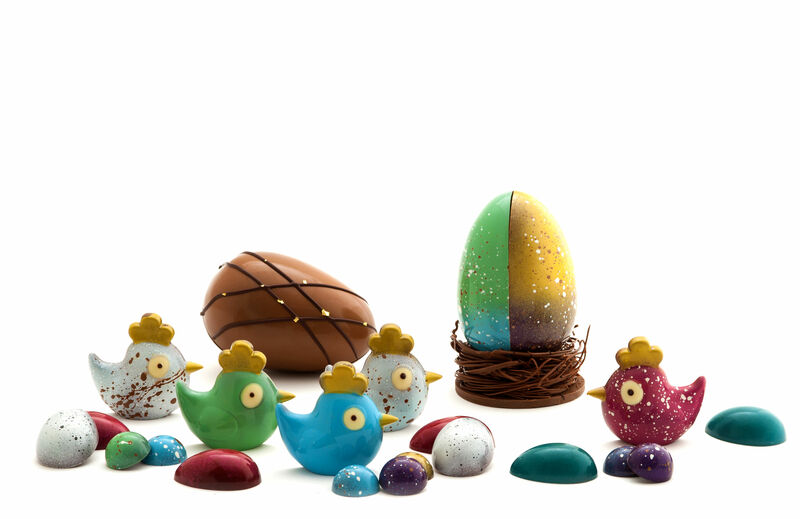 Creamy caramel ganache eggs and solid chocolate chicks, Jacek Chocolate Couture, Edmonton. Photo courtesy of Jacek Chocolate Couture. 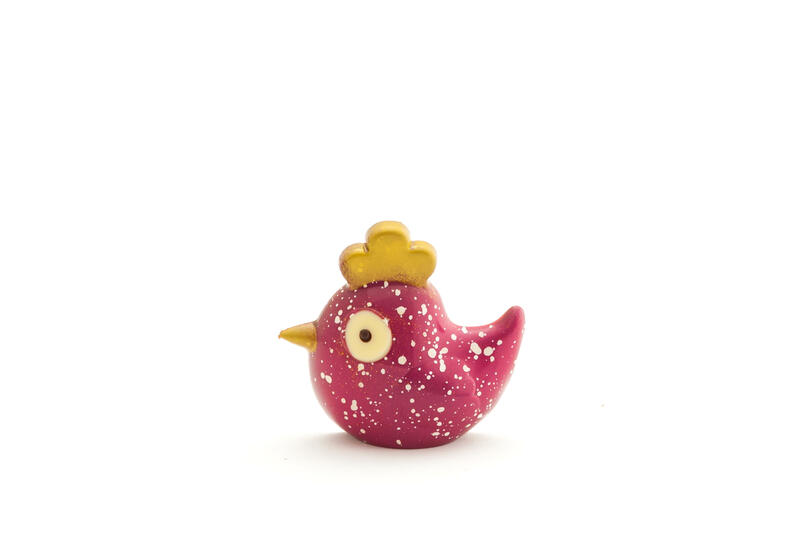 Solid milk chocolate chick, Jacek Chocolate Couture, Edmonton. 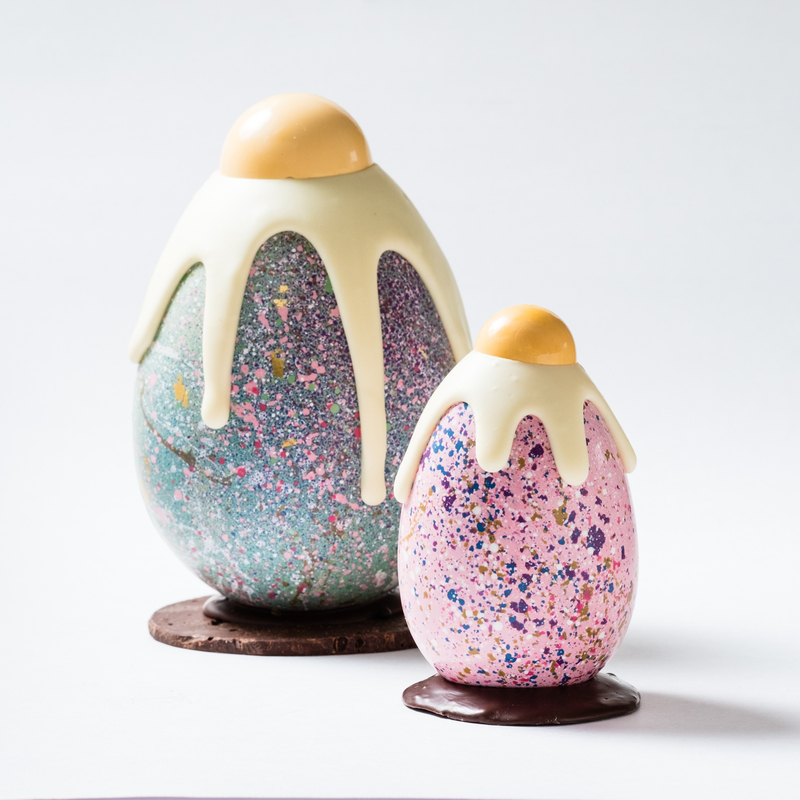 Speckled chocolate egg, Les chocolats de Chloé, Montreal. Photo courtesy of Les chocolats de Chloé. 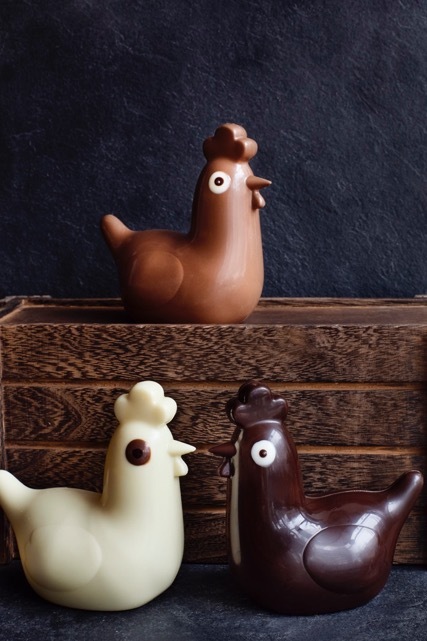 Mother hens filled with three chocolate eggs, Les chocolats de Chloé, Montreal. 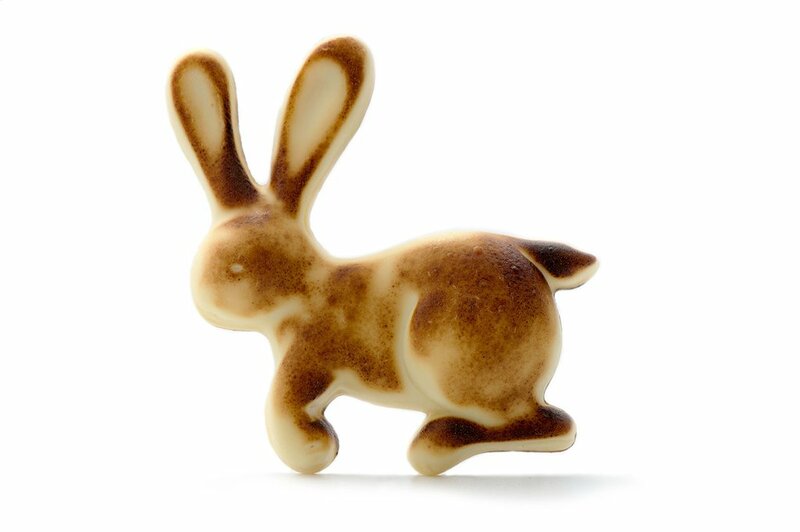 Roasted white chocolate Rascally Rabbit, Soma Chocolatemaker, Toronto. Photo courtesy of Soma Chocolatemaker. 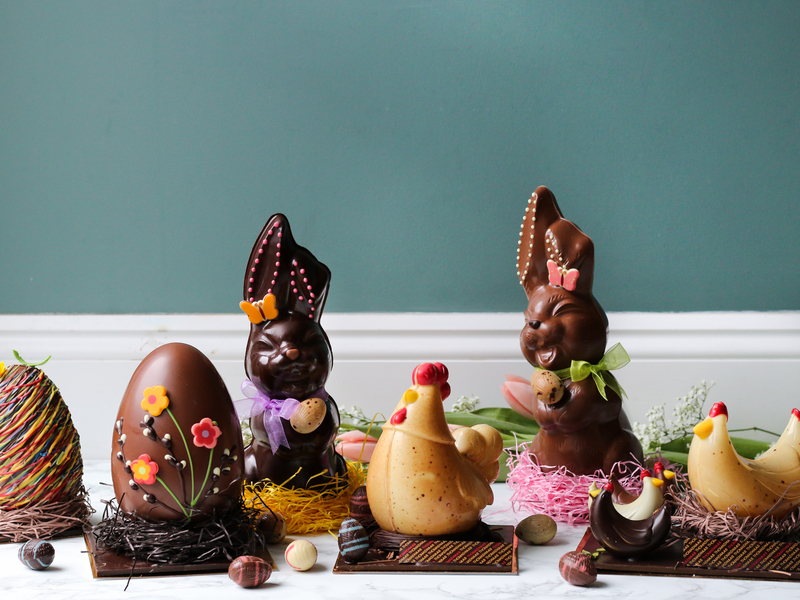 Chocolate bunnies, eggs, and hens, and a trio of hazelnut praline chicks, Thomas Haas, Vancouver. Photo courtesy of Thomas Haas. Chocolate flowerpots, Thomas Haas, Vancouver. 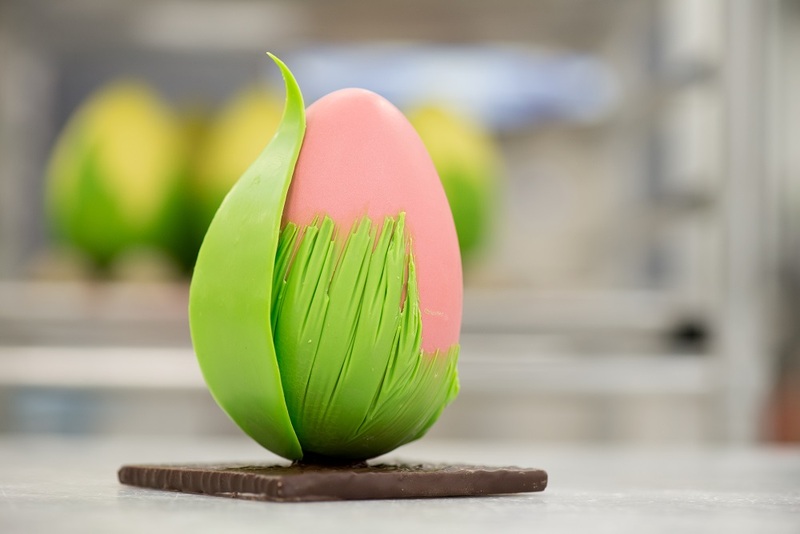 Pastel-coloured chocolate egg filled with mini chocolate bonbons, Delysees, Toronto. 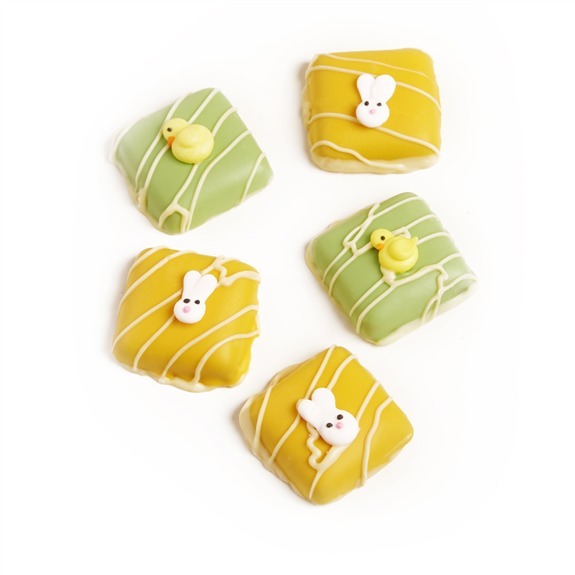 Milk chocolate Petit Pastels wrapped in colourful white chocolate, Purdy’s, throughout Canada. 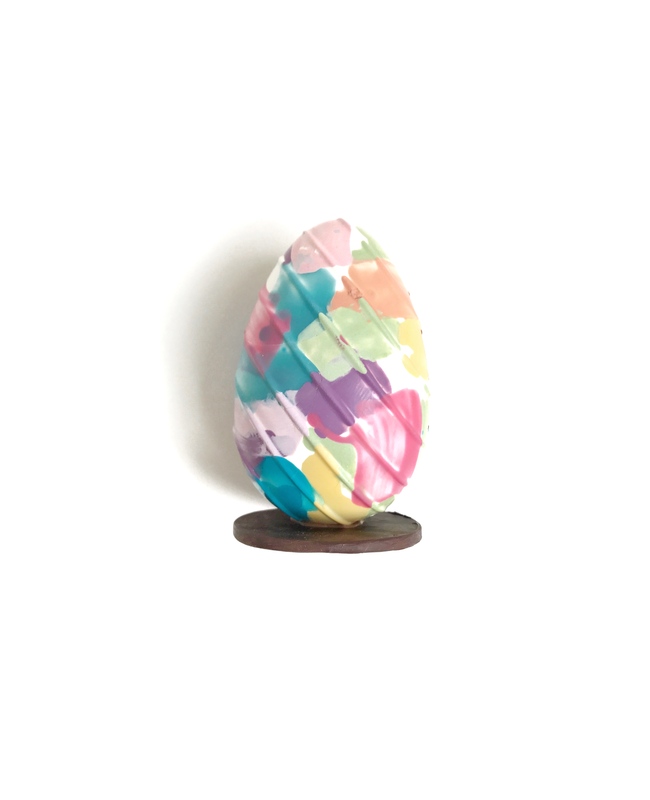 Foil-wrapped eggs and hollow bunnies—what would Easter be without them? 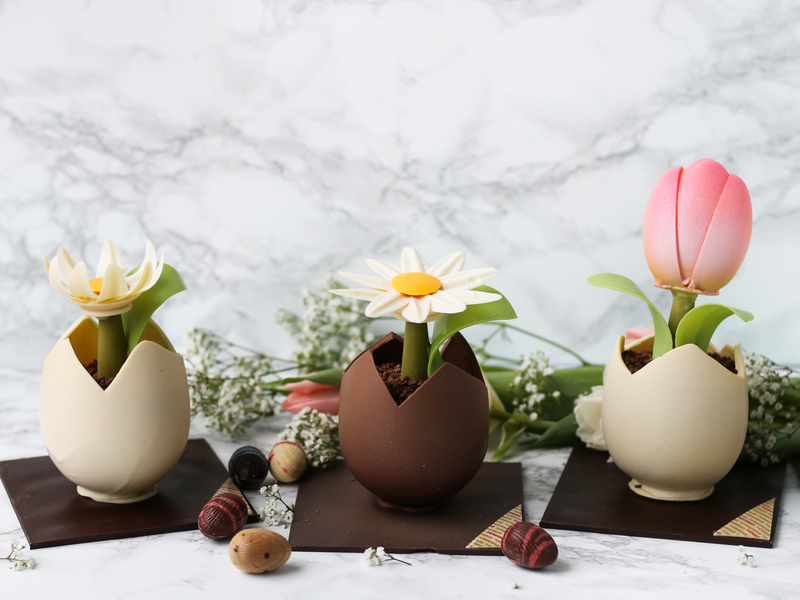 While these seasonal favourites remain year after year, chocolatiers are increasingly taking the opportunity to add their own special twists to springtime staples. 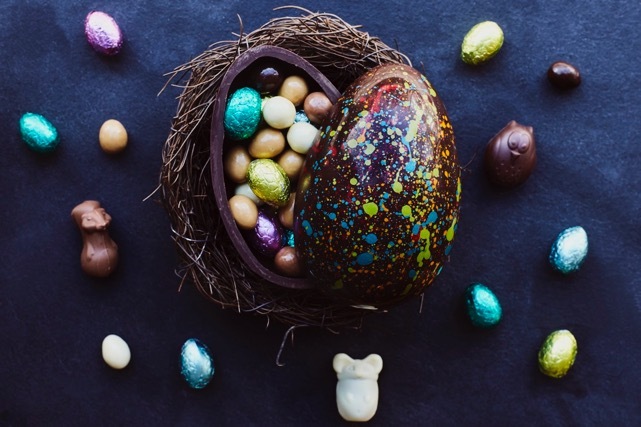 Here, see some of the best gourmet Easter chocolate Canada has to offer—no hunt required.